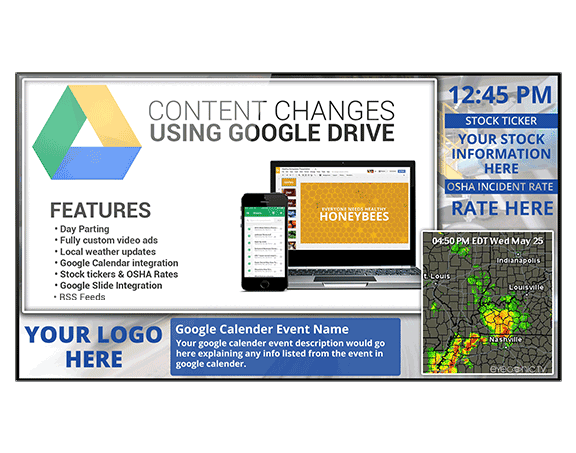 Digital signage educates employees by providing relevant information in a fun, visually appealing format that allows them to digest and retain the information. Eliminate missed form deadlines, make announcements, highlight safety procedures, explain benefits, reinforce policies, post available positions, increase participation in company events and so much more. Create live polls, quizzes and games that display on the digital signage. 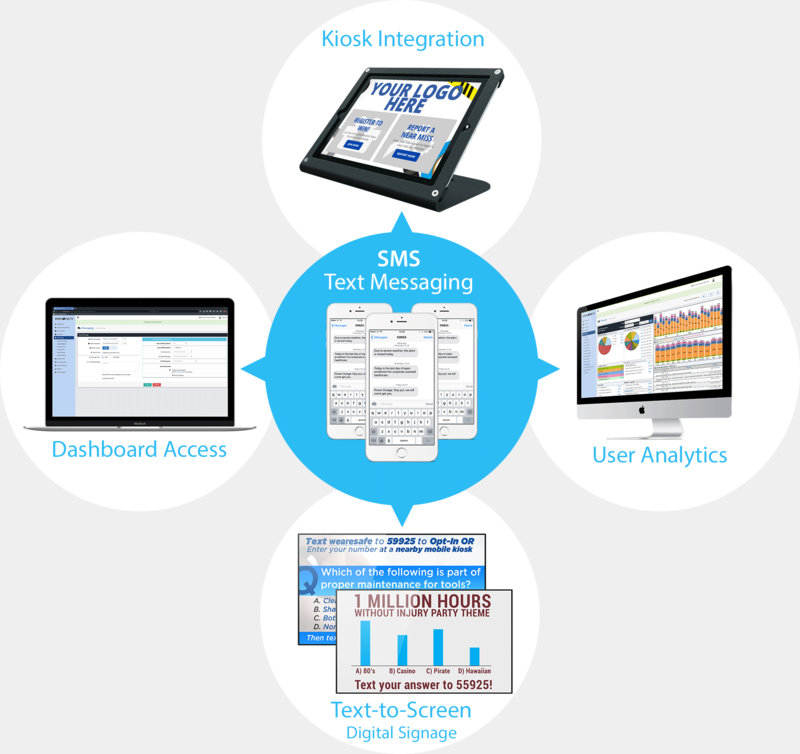 Employees participate by texting a response and their answers update live on the screen. Randomly select participants to win prizes and/or recognition on the digital signage. Using a simple #hashtag, see employee tweets on your digital sign. 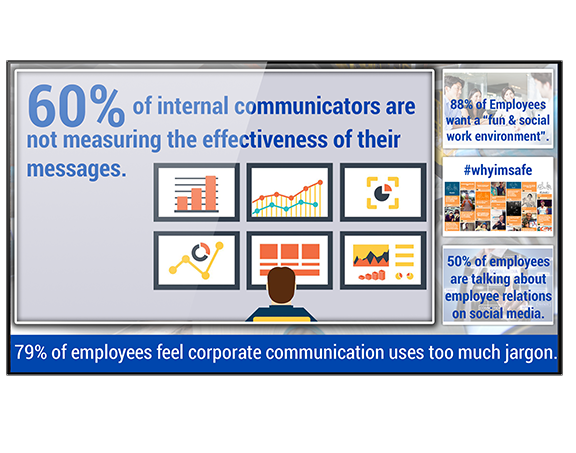 Boost Morale: 88% of employees want a #funANDsocial work environment. Take Safety Personally: Constantly remind employee’s #WhyImSafe with pics of people they love. 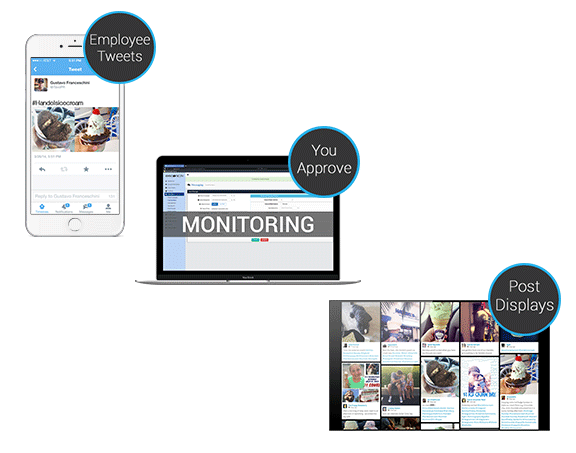 Be Engaging: 50% of employees are talking about their employer on social media. #PublicDisplay of their communication helps to insure it’s positive. Maintain Public Image: Posts & pics are #Moderated before they display. Loops lose engagement and boring digital signage becomes wallpaper. Our signage uses marketing and advertising strategies prove effective via countless studies. Speak their language: simple text, animation, digestible format. Appropriate humor and emotional attachment. Create transparency through explanation of how and why.